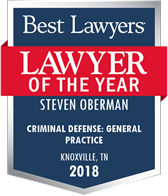 Knoxville, Tennessee DUI attorney Steve Oberman is a nationally renowned DUI defense lawyer and author from Knoxville, Tennessee (TN). In 2006, Mr. Oberman became the first lawyer in Tennessee to be recognized as a Board Certified Specialist in the area of DUI Defense Law by the National College for DUI Defense. 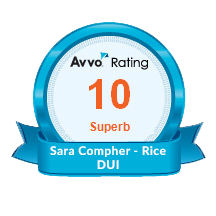 Mr. Oberman is the only Knoxville DUI lawyer to receive this honor. 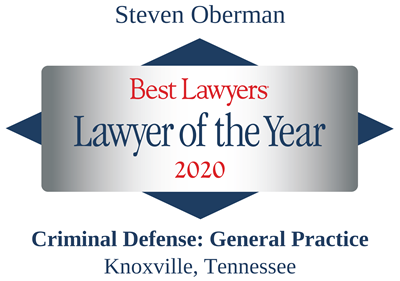 Steve was recently named a Best Lawyers Lawyer of the Year in the area of Criminal Defense for 2018. 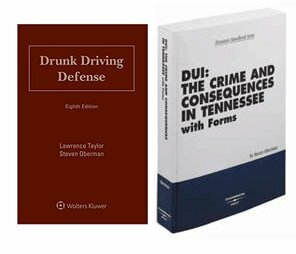 Knoxville, Tennessee DUI Lawyer Steve Oberman is the co-author of the national DUI treatise, Drunk Driving Defense, and author of DUI: The Crimes and Consequences in Tennessee, both of which are pictured below. He also regularly lectures to DUI attorneys across the country about criminal defense techniques. 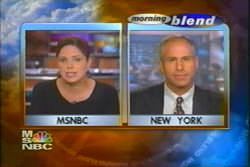 In particular, he teaches and writes about defending cases involving drunk driving, also known as DUI, DWI, and driving under the influence of alcohol, drugs or other intoxicants. Tennessee DUI Attorney Steve Oberman regularly defends citizens accused of these crimes whether or not they consent to a blood or breath test. He is familiar with several breath testing devices, including the Intoxilyzer 5000 and DataMaster. In particular, Steve has closely studied and lectured about the Intoximeter EC/IR I and Intoximeter EC/IR II, both of which have been approved by the State of Tennessee for evidentiary breath testing. He also teaches DUI lawyers and attorneys about the errors inherent in both blood and breath testing techniques used by the Tennessee Bureau of Investigation, the Knox County Sheriff’s Department, the Knoxville Police Department, as well as other police agencies in the State of Tennessee. The mission of our law firm is to zealously represent our clients, providing a thorough DUI defense while maintaining the highest standards of professional responsibility and ethics. Of equal importance, our Knoxville DUI attorneys and staff strive to provide exceptional service to our clients and pride ourselves on prompt and thorough communication with our clients. Due in part to the work ethic and dedication of The Oberman & Rice law firm to our clients, Martindale-Hubbell™, the renowned organization which has offered attorney peer reviews for more than a century, has bestowed the firm with the highest rating for law firms. We are also proud that our Knoxville DUI lawyers continue to be honored with many awards from numerous other organizations. 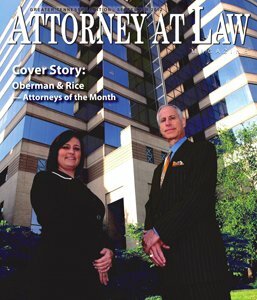 As part of our commitment to providing the best possible DUI defense for our clients, Oberman & Rice endeavors to remain on the cutting edge of DUI defense techniques and strategies by attending and teaching at the most advanced DUI seminars in the country. Our firm also hosts a podcast, which highlights many issues surrounding Tennessee DUI cases, as well as the offense of driving under the influence in general. Please click here for more information about our DUI Law Podcast. Unlike lawyers who use mass mailings to lists of people recently arrested, we limit the number of cases we accept to ensure we devote the necessary time and effort to provide each of our clients the personal attention they deserve. Our Knoxville DUI attorneys provide you detailed information about your Tennessee DUI charges, the associated Tennessee DUI penalties, as well as the court procedures. The Knoxville DUI attorneys of The Oberman & Rice Law Firm are readily available to answer your questions and concerns both while your Tennessee DUI case is pending and after your case is concluded. 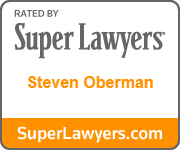 The Oberman & Rice Law Firm also produces a DUI Law Podcast to explore issues surrounding Driving Under the Influence laws and featuring Steve Oberman, former Dean of the National College for DUI Defense, Inc. The podcast explores all areas of DUI laws, including, but not limited to information about DUI arrests, the science surrounding DUI laws, and how to choose a DUI lawyer to handle your case. You may also click here to view a video version of some of the DUI Law podcasts. Our law firm is dedicated to defending citizens accused of crimes in Tennessee. We focus our areas of practice to general criminal defense and DUI defense. By limiting our law practice to these two areas our lawyers pride themselves on using their experience and training to act as legal advocates for individuals who are fighting to protect their legal rights and freedom. General Criminal Defense — Our Knoxville criminal defense attorneys represent clients who have been charged with a variety of misdemeanor and felony crimes. A criminal conviction can negatively impact your future, including where you live and work. Even if you are not sentenced to jail or prison, a criminal conviction may impact your legal rights, including your right to vote and your right to possess (carry) firearms. If have been charged with a crime or you are being currently investigated by a law enforcement agency, we urge you to contact a criminal defense attorney immediately. Our attorneys are available to speak with you 24/7. In no event should you discuss the details of your case with anyone without first consulting your attorney. DUI and DWI Defense — Impaired driving may include driving under the influence of alcohol and/or drugs – even drugs that have been legally prescribed to you by a physician. 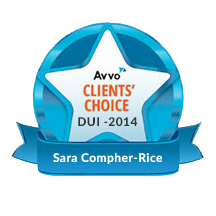 DUI and DWI are serious charges that should not be downplayed as simple traffic violations. The immediate consequences of a DUI conviction may include expensive fines and court costs, significant jail time, revocation of driving privileges, and enrollment in a court-approved DUI education course. For subsequent DUI convictions, you could lose your vehicle and face penalties that increase in severity. Our DUI defense team represents clients charged with all matters related to drunk and/or drugged driving in Tennessee. Expungement of Criminal Records — A criminal record can have serious, negative, and permanent implications for your future. A criminal conviction never automatically “drops off” of your criminal record. Therefore, future employers, colleges, landlords, and other individuals may access your criminal record and learn of the details surrounding your criminal conviction. However, some crimes may qualify for expungement – whether the criminal offense was dismissed or, in some instances, even if you were convicted of a Tennessee crime. Expungement removes any public record of the criminal conviction. Our Knoxville expungement attorneys can review your conviction to determine if it qualifies for expungement. Forfeitures — A forfeiture proceeding is a civil action that is typically associated with a criminal charge. In some cases, you may be required to forfeit property that was used in the commission of a crime or property that is related to a crime. For instance, you may be required to forfeit your vehicle following a Tennessee DUI arrest or forfeit your personal property used in the commission of drug crimes. If your property is seized, it is imperative that you contact our Knoxville forfeiture attorneys immediately so that your rights to your property may be protected. If the proper procedures are not followed, you could lose all rights to your property, even if you are eventually acquitted of the charges, or the charges are otherwise dismissed. Habitual Motor Vehicle Offender — Our Knoxville criminal defense lawyers defend drivers who have been designated as a Habitual Motor Vehicle Offender (HMVO). The consequences of being designated as an HMVO can be severe. Habitual motor vehicle offenders face a loss of driver’s license for three years without any opportunity for a restricted license. At the end of the license revocation period, the offender must then take the proper steps to have the HMVO status lifted so that his or her driving privileges may be reinstated. Continuing to drive after being designated as an HMVO, even if you don’t commit any further crimes, will result in a felony charge. If you have been convicted of prior traffic offenses, we strongly suggest you contact our office immediately if you are currently charged with motor-vehicle related offense in order to determine if you are in danger of being designated as an HMVO. 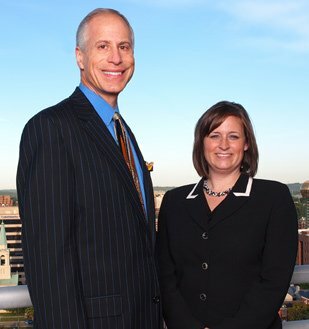 Other Crimes — Oberman & Rice also handle a variety of cases involving other crimes. Our Knoxville criminal defense lawyers have the experience, resources, and knowledge you need on your side as you defend yourself against felony or misdemeanor crimes in Tennessee. We understand the elements that the state must prove for a criminal conviction and how to craft a strong defense strategy. Traffic Court Violations — Many people view traffic tickets as minor inconveniences. However, traffic citations can result in fines, probation, driver history points, and revocation of driving privileges. An important secondary consequence of a traffic ticket is a likely substantial increase in your vehicle insurance premiums. Our Tennessee traffic ticket attorneys investigate the circumstances surrounding your traffic violation to determine if your legal rights were violated. In many cases, we are able to assist clients to minimize or avoid the consequences of a traffic citation. 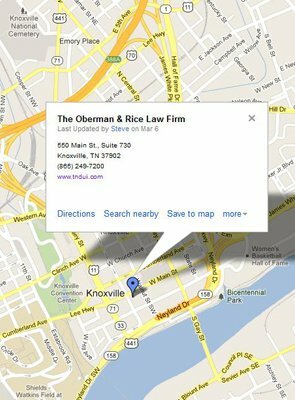 More information about the types of cases the Knoxville criminal defense attorneys of Oberman & Rice handle can be found on our Practice Areas page. We have several links to the right of the page that provide additional information on some examples of the types of criminal case that our firm handles. If you have been charged with a criminal offense in Tennessee, our lawyers want to assist you in working to bring about the best possible resolution based on the facts in your case. You should contact our law firm as quickly as possible after an arrest or if you have contact with a law enforcement officer so that our Tennessee criminal defense lawyers can conduct a prompt investigation of the circumstances surrounding the criminal charges. A prompt investigation by a trained team of criminal defense lawyers and our investigators increases your chance of obtaining the best possible outcome for your case.